A team of biologists, policy analysts, and legal experts from the University of Queensland call for a new Genetic Data Protection Act in an article published in Genetics in Medicine. 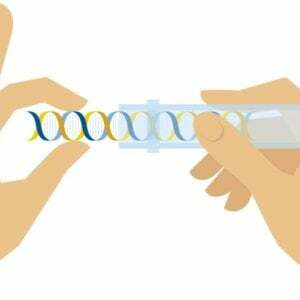 A new law is needed now, the researchers argue, because of the increasing difficulty of keeping the threads of DNA use separate. “What happens to our genetic data in one realm, such as forensics, is highly likely to affect how society trusts the use of genetic data in medicine. The speed of these developments has surprised many and demands a policy response to protect trust in medical genetics,” they write. A data protection act is a great idea, but isn’t it a little late? The collision between genetic privacy and the consumer testing data dump that forensics is tapping into is already here. And it may detonate when the millions of DNA kits delivered at Christmas are translated into information. It’s been interesting to chronicle changing genetic technologies in the dozen editions of my human genetics textbook. DNA testing in health care goes back decades, to the population carrier screens for sickle cell disease and Tay-Sachs disease in the 1970s. Mutation analysis has sped diagnoses for rare diseases and become routine for matching targeted treatments to patients with everything from cancers to autoimmune disorders to infections. Meanwhile, forensic science has gone from many years of relying on the standard 13 and then 20 FBI “single tandem repeat” markers to considering the 770,000 or so genome-wide markers from the various consumer DNA testing companies. People upload their raw data to GEDmatch, a free not-for-profit website for genealogists, and receive a list of possible relatives, with contact info for some. 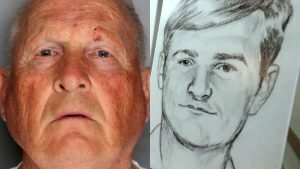 In March 2018 use of GEDmatch to find a relative of the alleged Golden State Killer Joseph James DeAngelo catalyzed an explosion of efforts to match genetic genealogy data to DNA on “discarded items” and other evidence left at crime scenes or in victims’ bodies. 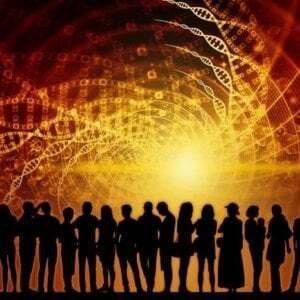 A more recent variation of forensic DNA testing is phenotyping, which is deducing physical traits from gene variants. The missing part of a headless corpse, for example, might be predicted to have blue eyes from checking the OCA2 and HERC2 genes. Parabon-Nanolabs is one of the first companies to offer testing DNA for color of the skin, eyes, and hair, as well as freckles, facial architecture, and ancestry. Is it too late to control access to DNA data? The new report brings up legal issues surrounding phenotyping, perhaps because it’s a more recent application than DNA profiling, which debuted in England in the mid-1980s and provided genotypes (short sequence repeats). “How can we trust the accuracy of the algorithms when no one has the ability to view the code or verify the results?” the researchers write, citing an apparently poor paper trail in the peer-reviewed literature for the relatively new phenotyping. But the mainstream media has been onto phenotyping for awhile. Five years ago CNN reported on New York City artist Heather Dewey-Hagoborg. Her “Stranger Visions” project recreates faces from the information in DNA scooped up in public places – wads of gum, hair with intact roots, bits of skin and spit on cigarette butts. A new law is necessary now, the researchers argue, to preserve trust in clinical uses of DNA information. “We want Australians to have confidence in using genetic tests to better look after their health, so it is important that we keep forensic genetics separate,” said lead author Caitlin Curtis, of the Centre for Policy Futures and the school of biological sciences at the University of Queensland. The U.S. Genetic Information Nondiscrimination Act of 2008 is limited in scope and is from a different era, debuting when direct-to-consumer genetic testing had just begun. Today the overlapping of the forensic and medical worlds indeed raises disturbing scenarios. Are genetic risk factors for psychiatric disorders that might predispose to violent behavior relevant in a criminal investigation, or off-limits because they are probabilities, not diagnoses? Should a criminal convicted thanks to a third cousin’s genetic genealogy data be informed of a recently-realized family history of Huntington’s disease? 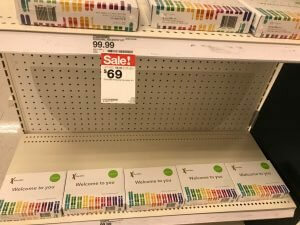 Consumer genetic testing kits are selling out, online and in stores. The deluge of data is coming … but are consumers ready? 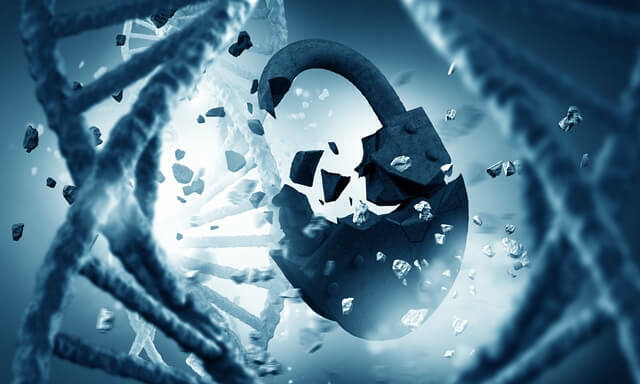 The proposed Genetic Data Protection Act would address access to, storage of, and use of DNA information, which the researchers argue is unlike other types of information in that it affects others. 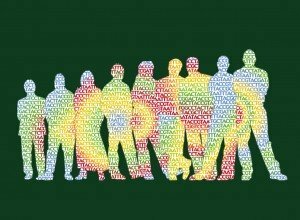 They call “ownership of digital data” pertaining to DNA sequences a “fundamental right.” But if data are on Ancestry.com or uploaded to GEDmatch, any claim to ownership seems moot. It’s then easy to track down possible relatives on Facebook. I’ve done it. The new report doesn’t mention the critical role of social media in maintaining (or not) genetic privacy. It seems as if social media is ahead of the clinical counseling community in handling people whose DNA test kits yield surprises. Private Facebook pages already self-help the thousands of people who have learned, from consumer DNA testing, that DNA doesn’t lie, but people do. The Facebook groups are no longer secret. And recent posts reveal widespread concern over the deluge of new relatives about to come forth thanks to all those gift kits. I find the ads so ironic – people jumping for joy at their newly-discovered diversity, thanks to kits from companies that hold their sales and gear their promotions to a holiday for one of the world’s religions. I don’t recall a sale during Rosh Hashanah. This piece in The Atlantic describes one woman’s story that inspired the origin of one private Facebook group that now has thousands of members. Her tale is that of many. Group participants read each other’s stories, offering support and advice and a shared experience that others cannot completely fathom. The feelings expressed are all over the place, from hurt, rejection, and a new understanding, to questions of etiquette concerning to whom to send holiday cards. Some reactions echo the famous five stages of grief: denial, anger, bargaining, depression, and acceptance. Yet others erupt in joy at finding a half-sibling. The cat is long out of the bag for controlling genetic information. Discovering that one is an NPE – “not parent expected” or the older “non-paternity event” – can reveal the unimaginable, although it takes some time for the implications to sink in: an uncle, brother, family friend, or teacher who’s actually dad; a long-ago, drug-hazed sexual assault at a party; a forgotten fumbling in the backseat of a car; a new relationship overlapping a breakup; or a common scenario, unacknowledged infertility treated with surreptitious sperm from medical students in the 1950s or overactive sperm bank donors in the 1980s. The Australian TV show Sisters, on Netflix, deals with the repercussions of a fertility doctor having helped his patients a little bit too much some 30 years ago – leading to 100 or so half-siblings discovering each other. It’s a comedy! I love it. A version of this article was originally published on PLOS Blogs’ website as “A Proposed DNA Data Protection Act? 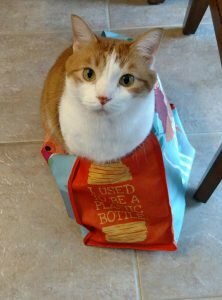 The Cat’s Out of the Bag” and has been republished here with permission.